Trump was a subdued figure at the first day of the General Assembly, pledging to cooperate with world leaders to restructure the U.N. and refraining from aggressive anti-U.N. rhetoric deployed throughout the 2016 presidential campaign, however a different and hardline side of the president is expected today during his inaugural speech. Peter Baker and Somini Sengupta observe at the New York Times. The government wiretapped former Trump campaign chairman Paul Manafort under secret orders authorized by the court that handles the Foreign Intelligence Surveillance Act (F.I.S.A. 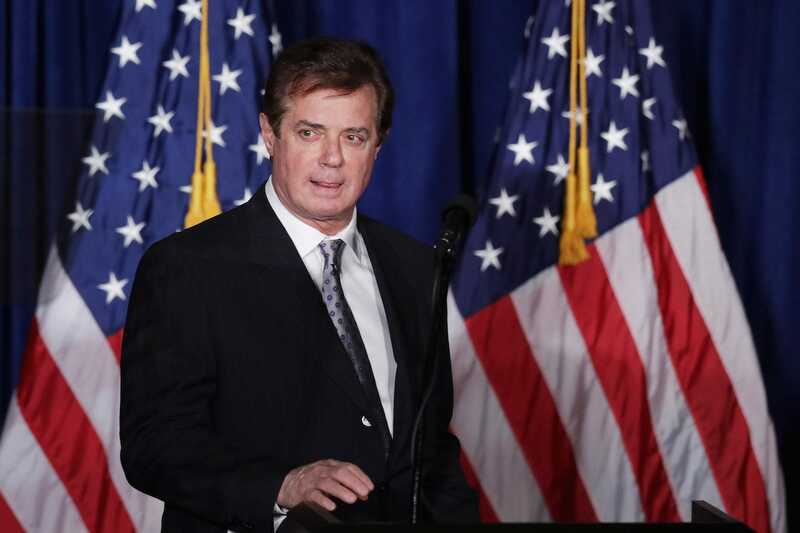 ), with investigators surveilling Manafort from 2014 over his connections with Russia and continued into early this year. Evan Perez, Shimon Prokupecz and Pamela Brown reveal at CNN. Hillary Clinton’s former campaign manager John Podesta testified before the Senate Intelligence Committee yesterday in a private session, Katie Bo Williams reports at the Hill. House and Senate investigators have expressed concern that Facebook has not revealed critical details relating to Russian interference in the U.S. presidential election, according to sources familiar with the matter. Carol D. Leonnig, Elizabeth Dwoskin and Craig Timberg explain at the Washington Post. Three Democratic lawmakers have asked the Federal Communications Commission to investigate the Russian government-funded radio station and news site Sputnik, David Shepardson reports at Reuters. Steven Groves has joined Trump’s legal team and will serve as deputy to White House special counsel Ty Cobb, signaling that the White House expects more legal work in relation to the Russia investigation. Eliana Johnson reports at POLITICO. Special counsel Robert Mueller’s team has been aggressive in its approach to the Russia investigation, issuing a series of subpoenas, targeting key figures such as Manafort and warning him that he faces indictment. Sharon LaFraniere, Matt Apuzzo and Adam Goldman explain Mueller’s tactics and the dynamics of the investigation at the New York Times. White House lawyer Ty Cobb was overheard loudly discussing the Russia investigation by a journalist last week, including making statements that White House counsel Don McGahn has a “couple documents locked in a safe” in relation to the Russia investigation, marking yet another blunder in Cobb’s career and another example of indiscretion from Trump administration officials. Dana Milbank writes at the Washington Post. What can be expected from Mueller’s investigation and who is he focusing his efforts on? Renato Mariotti writes at POLITICO Magazine. For nearly a decade, lobbyists, academics and politicians alike have hailed the shale revolution as the guarantor of U.S. energy security. Energy security: Renewables the savior? For nearly a decade, lobbyists, academics and politicians alike have hailed the shale revolution as the guarantor of U.S. energy security. 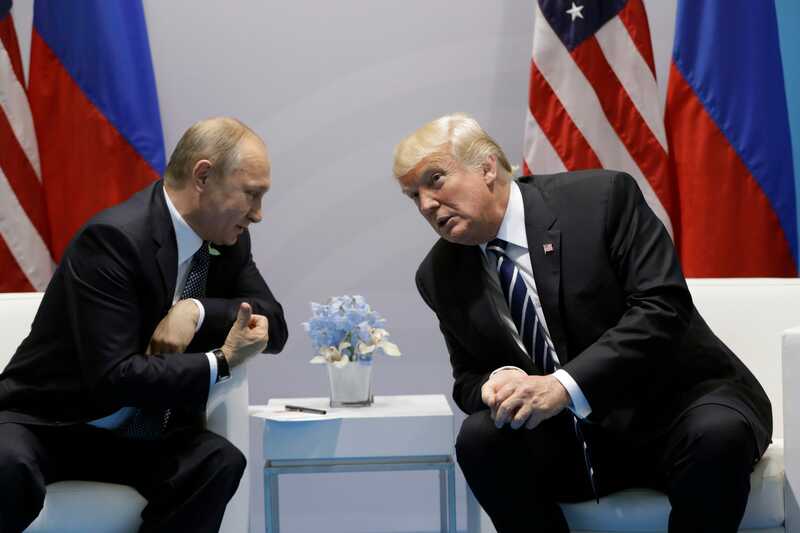 U.S. President Donald Trump has even taken their expectations a step further, envisioning a world of American “energy dominance,” where the country’s oil exports would fortify the supplies of its closest allies. But as the severe fuel shortages that swept across Texas and Louisiana in the wake of Hurricane Harvey have shown, America still heavily relies on those states’ Gulf coasts to refine crude oil into gasoline, diesel and other petroleum products. True energy security, then, still seems to be just out of the United States’ reach. At least, it is based on some definitions of energy security, of which there are many. To the International Energy Agency, the term refers to “the uninterrupted availability of energy sources at an affordable price.” But even this simple explanation raises more questions than it answers: What is an affordable price, and what’s the tradeoff between the affordability and reliability of supplies? Faced with unique challenges in the energy sector, every nation would respond to these questions in a slightly different way based on their own priorities. And as technological progress reshapes the structure of global energy markets in the 21st century, the priorities of producers and consumers around the world will doubtless change. For its part, the United States has traditionally centered its energy policy on the goal of self-sufficiency. Driven by fears of the price shocks that OPEC’s 1973 oil embargo triggered, American politicians have long touted the idea of reducing the country’s dependence on Middle Eastern producers. In doing so, they hoped, U.S. interests in the region would decline by default, creating room for the United States to someday withdraw from it entirely. The United States’ energy strategy abroad, therefore, is simply an extension of its broader imperative to keep global sea lanes open. But as hurricanes Katrina and Harvey have made clear, the greatest threats can come from within. The United States’ rigid distribution systems have opened the door to short-term supply crises, and though the country is unlikely to move its refining centers away from the coast, it may seek to build more flexibility into supply lines at home in order to mitigate the risk of severe shortages in petroleum products down the road. Across the Atlantic, Europe is coming to grips with a problem of its own: For the Continent, there is no real substitute for Russian natural gas. Last year, European countries imported 190 billion cubic meters of Russian natural gas via pipeline, a volume equal to more than half the amount of liquefied natural gas traded by sea each year. To make matters worse, most Central and Eastern European nations lack the physical infrastructure that would be needed to bring in supplies from non-Russian producers — a shortcoming made painfully clear in the 2000s, when Russia twice cut off natural gas flows to Europe as a means to political ends. Consequently, Europe’s energy policy revolves around Russia’s ability to use energy supplies as a political weapon, and the Continent’s inability to stop it. 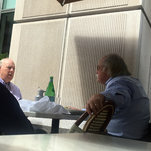 Ty Cobb (right), a member of President Trumps legal team, discussing details of the teams response to the Russia investigation with a dining partner at BLT Steak in Washington. The attorneys representing Donald Trump in his Russia scandal have seemingly been in a race to see who could screw up in the most embarrassing fashion. Two of them have had late night email feuds with strangers. One accused a reporter of being on drugs. One of them was fired after he threatened someone. Now one of his attorneys has found an entirely new way to screw up: he unwittingly gave away secrets about the internal workings of Trump’s legal team when he was overheard in a restaurant.The incredible story comes by way of the New York Times, which reveals that one of its reporters overheard Trump attorney Ty Cobb (yes that’s his real name) while they were both dining at the same steakhouse (link). Cobb was overheard accusing his colleague, White House Counsel Don McGahn, of having his own spies within the administration.The Times contacted the White House to follow up on what it had overheard Cobb saying, and in the process McGahn became aware of what Cobb had said about him. This prompted McGahn to privately “erupt” at Cobb. It also led Chief of Staff John Kelly to “reprimand” Cobb for having discussed such things in public at a restaurant where he could be overheard. 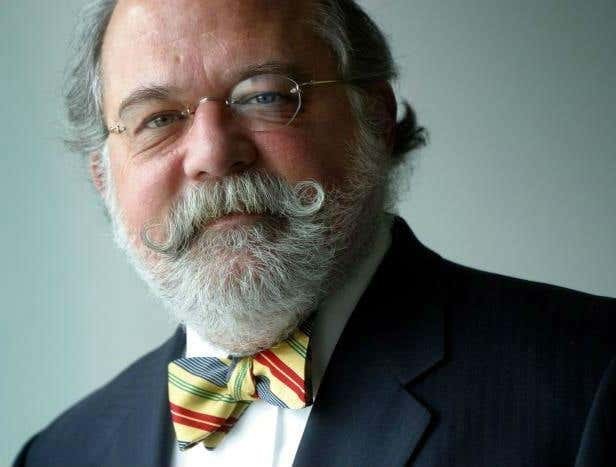 This is just some of the dysfunction that’s going on within Trump’s no-star legal team.Donald Trump hired Ty Cobb as a White House lawyer so taxpayers would have to pick up the tab, even though Cobb is directly representing Trump in the Russia scandal. But this may backfire, as it means Cobb and Trump don’t have the usual attorney-client privilege. Nor is there any such privilege between Trump and McGahn. For that matter, Special Counsel Robert Mueller is targeting McGahn as a potential witness or co-conspirator, as he helped Trump craft his attempted cover-up of Donald Trump Jr’s Russia meeting.The post Donald Trump’s bumbling attorney accidentally gives away secrets when he’s overheard at restaurant appeared first on Palmer Report. Anyone paying close attention to Donald Trump’s Russia scandal has figured out Special Counsel Robert Mueller’s strategy. He’s pursuing everyone in Trump’s orbit for their own alleged crimes, or for having participated in a conspiracy with Trump to commit crimes. He’s trying to get as many of them to flip on him as possible. Some will indeed flip, if they haven’t already. Now it turns out Trump’s own advisers believe it’s already happened – and they suspect someone’s wearing a wire.The incredible revelation is buried all the way down in the eighteenth paragraph of a new piece from the New York Times that’s largely otherwise focused on the general dysfunction within Trump’s legal team (link). Here’s the buried bombshell: “White House officials privately express fear that colleagues may be wearing a wire to surreptitiously record conversations for Mr. Mueller.” This suggests things may be much further along than had previously been believed.At this point a double digit number of current and former Trump advisers have hired attorneys to represent them in the Russia scandal. Trump’s own personal attorney Michael Cohen, and Trump’s White House Counsel Don McGahn, have each hired attorneys of their own. It was revealed last week that Mueller is pursuing six advisers who worked with Trump to cover up the true nature of his son’s Russia meeting, meaning that he may be pursuing them all for criminal conspiracy. It’s a matter of when, not if, some of the targets begin flipping in the hope of getting the best deals while there are still good deals to be had. This latest revelation threatens to become a self fulfilling prophecy. Let’s say that no one in Donald Trump’s White House has flipped on him yet. Even if advisers merely thinksomeone has flipped, it’ll motivate them to consider hurrying up and flipping before things get so far along that they no longer have anything worthwhile to offer. This kind of paranoia tends to set off feeding frenzies. The post Donald Trump’s White House advisers accuse each other of wearing a wire for Robert Mueller appeared first on Palmer Report. At this point a double digit number of current and former Trump advisers have hired attorneys to represent them in the Russia scandal. Trump’s own personal attorney Michael Cohen, and Trump’s White House Counsel Don McGahn, have each hired attorneys of their own. It was revealed last week that Mueller is pursuing six advisers who worked with Trump to cover up the true nature of his son’s Russia meeting, meaning that he may be pursuing them all for criminal conspiracy. It’s a matter of when, not if, some of the targets begin flipping in the hope of getting the best deals while there are still good deals to be had. This latest revelation threatens to become a self fulfilling prophecy. Let’s say that no one in Donald Trump’s White House has flipped on him yet. Even if advisers merely think someone has flipped, it’ll motivate them to consider hurrying up and flipping before things get so far along that they no longer have anything worthwhile to offer. This kind of paranoia tends to set off feeding frenzies. The post Donald Trump’s White House advisers accuse each other of wearing a wire for Robert Muellerappeared first on Palmer Report. Donald Trump promised that if he won the election, he’d only hire the best people. Instead he’s seemingly hired the worst people he could find: the most unsuited, the most corrupt, and the most inept. He’s saved the worst hires of all for his own legal team tasked with protecting him in the Russia scandal, which consists of a cast of characters who would be considered too unrealistic to play cartoonish sidekicks on a sitcom. Now they’re angrily turning against each other.The feuding within Trump’s legal team has found its focal point between Don McGahn and Ty Cobb, who were both technically hired as White House employees, but who have both acted as de facto Trump attorneys in the Russia scandal. The trouble between them began when Cobb made a series of allegations about McGahn while sitting in a restaurant. The conversation was randomly overheard by a New York Times reporter (link), and let’s just say things got ugly from there. McGahn got word of what Cobb had accused him of, and it resulted in McGahn taking Cobb’s head off.The two attorneys have been pushing incompatible legal strategies for how Donald Trump should approach Special Counsel Robert Mueller’s investigation, and instead of meeting in the middle, they’re trying to destroy each other. Cobb is accusing McGahn of having spies in the White House. McGahn had John Kelly reprimand Cobb for the restaurant incident.Donald Trump has a long and consistent history of hiring people he knows are unqualified and unsuitable for their jobs, based solely on his belief that they’ll be personally loyal to him. That’s resulted in numerous inept advisers resigning in disgrace during his relatively brief time in the White House. Now it turns out Trump has swung and missed on at least one, or possibly both, of the people he’s entrusted to get him off the hook in the Russia scandal. Which one will he fire first?The post Donald Trump’s inept attorneys are now angrily feuding with each other appeared first on Palmer Report.